We have so much fun each year visiting the annual Fall Festival at Greendell Landscape Solutions in Mooresville! 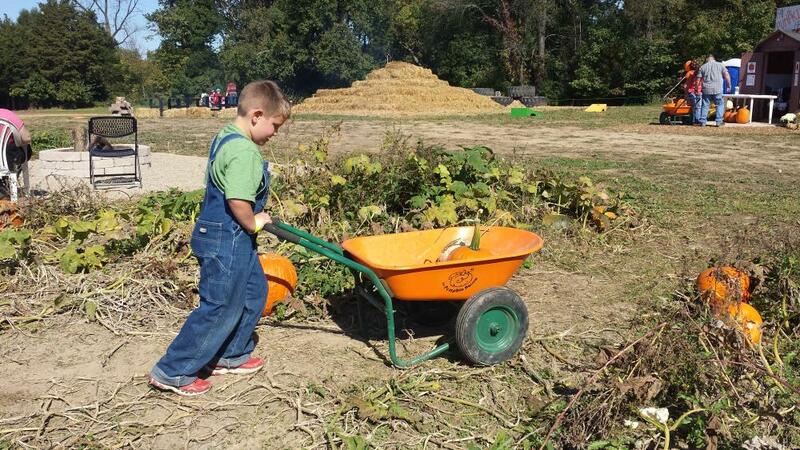 If you&apos;ve never been to this Morgan County Fall tradition, get it on your calendar, stat. 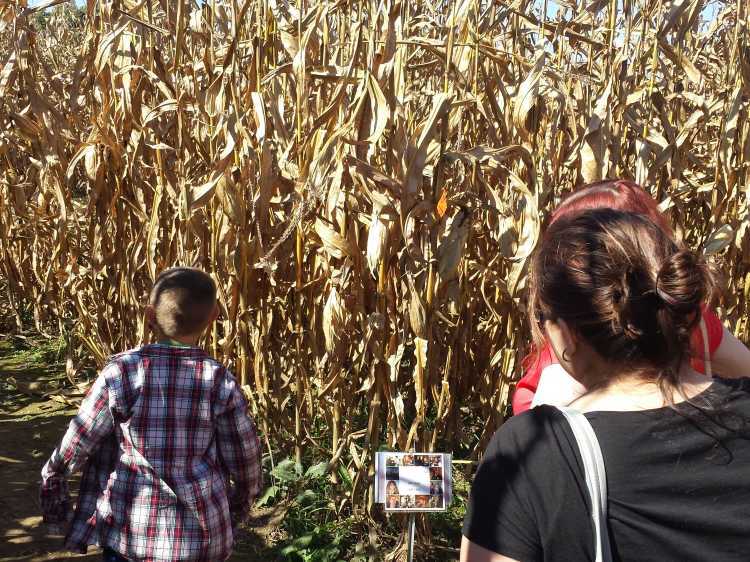 The Fall Festival includes three distinct aspects - the corn maze, the pumpkin patch and the play area. 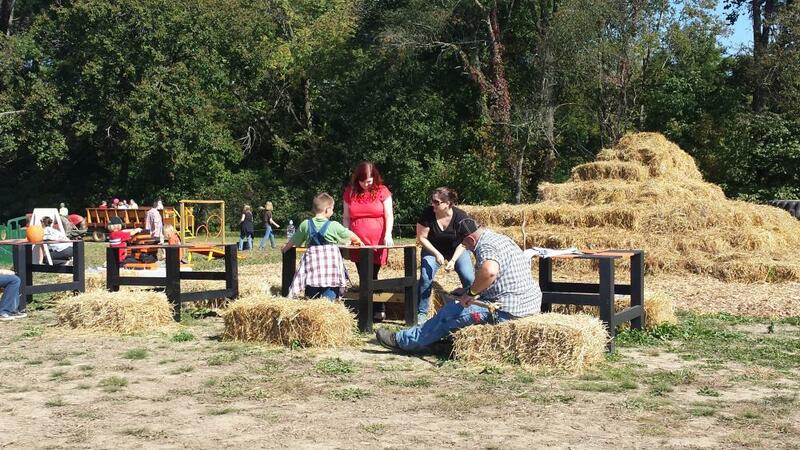 A trip to the pumpkin patch and play area via hayride is only $3 per person (kids age 2 and under are free). The pumpkin patch features wheel barrows to help you haul your prize pumpkins and a great fire ring that&apos;s perfect for chilly fall days. Pumpkins are priced by size - mini&apos;s start at only 50 cents and prices range up to $20 for an XXLarge pumpkin. So, the first thing you&apos;re going to do is board the hayride! 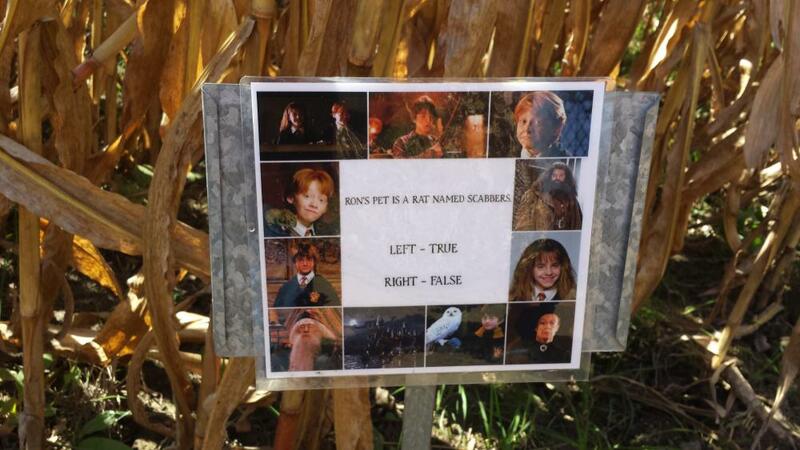 Our favorite part of the Fall Festival is always the corn maze and it features different theme each year! Past themes have included Harry Potter and the solar system. This year&apos;s theme is Indiana trivia. 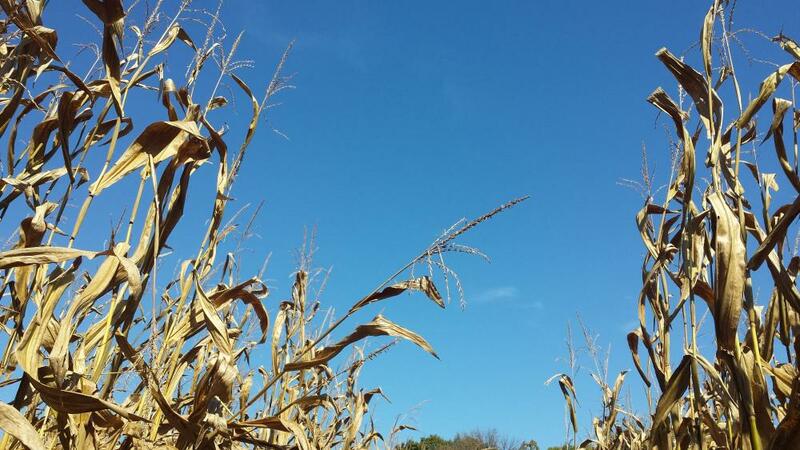 Admission to the corn maze is $9 per person ($7 for kids age 3-11 and ages 2 and under are free). 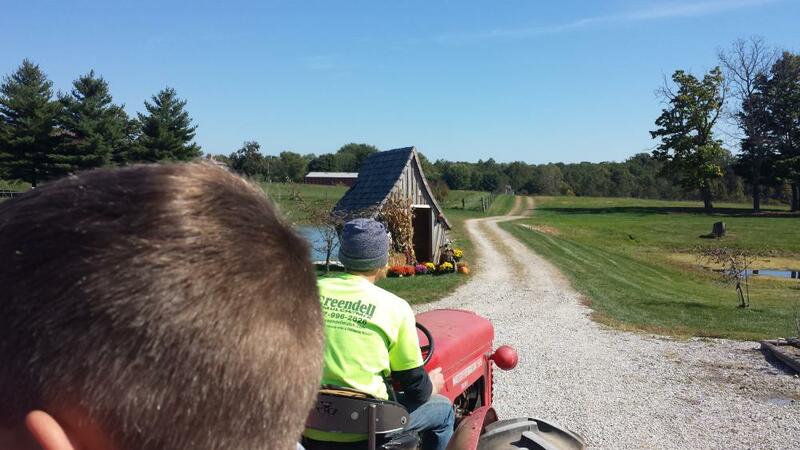 A family special rate includes hayrides, pumpkin patch, play area and corn maze for $40 and there are also group rates available (call ahead to schedule groups at 317-996-2826). 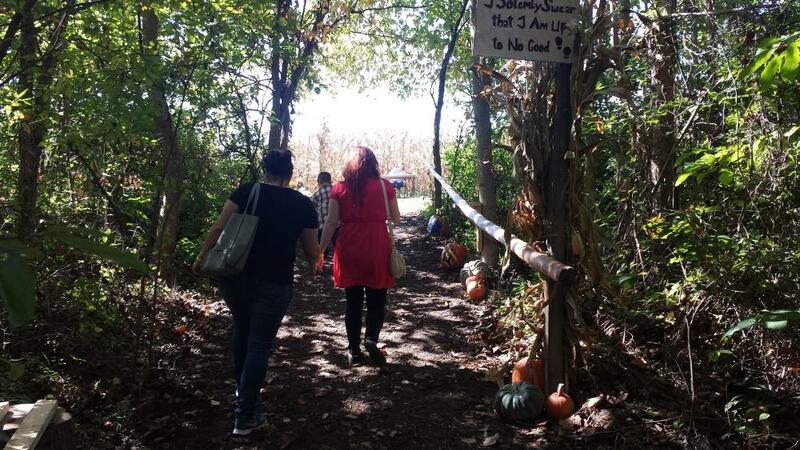 Once the hayride reaches the wooded area, you&apos;re just steps away from the maze. Along the way, you&apos;ll find questions based on the theme to help guide you through the maze. If you answer the questions correctly along the way, it shortens your route through the maze. Don&apos;t worry, even if you don&apos;t know the answers, you&apos;ll have no trouble navigating the maze - it may just take a bit longer! One year we brought friends visiting from Arizona with us and they were amazed at how tall the corn is here - something we&apos;ve never thought much about, but I supposed the Midwest is the very best place to enjoy a great corn maze! 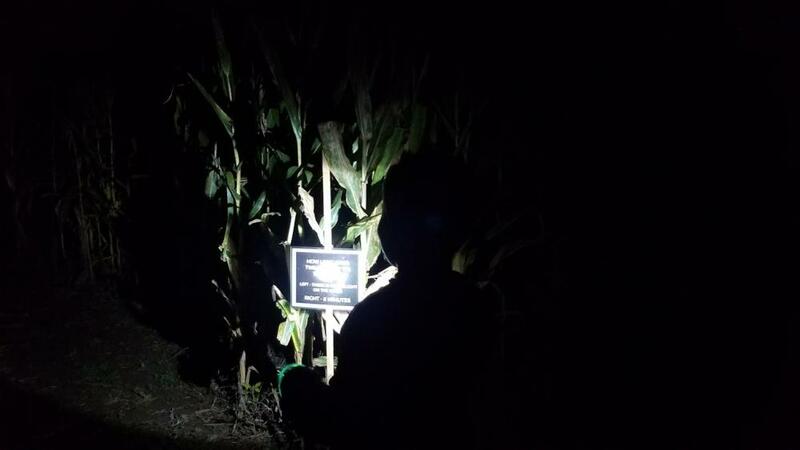 We will warn you that there may be a few places where the corn has sustained some damage during this year&apos;s summer storms, but that has never affected our enjoyment of the maze a bit. After successfully reaching the end of the maze, be sure to visit the pumpkin patch to choose your Halloween jack-o-lantern canvases for the year. The play area includes a small play house for the little ones, giant tractor tires and a straw pile to climb on and lots of fun games. There&apos;s a ball toss, giant checkers, giant jenga, corn hole (of course) and more for kids of all ages to enjoy. We had a blast playing jenga, making up new rules for checkers and taking a few selfies. When we were finally ready to return to the parking area, the concession stand was a welcome sight with cold apple cider and soft drinks! If you haven&apos;t had quite enough fall fun by the time you leave, nearby you&apos;ll find Anderson Orchard where you can indulge in apple picking, fresh raspberries (until the first hard frost) and yummy treats from their concession stand, including frozen cider slushies and fried apple pies! The concession area features lots of options - burgers, BBQ, cookies, cider. etc. but they&apos;re only open on weekends. If you go on a weekday, choose from nearby local favorites for lunch or dinner. Be sure to visit their website for your $1 off coupon on corn maze entry! You can print the coupon, or show it on your smartphone to redeem the offer. Special 2018 dates during the fall festival include Fall Wines and Vines Container Gardening Parties on October 6 & 7 (registration required), a kids&apos; pumpkin painting class on October 13 (registration required), Mosaic Birdhouse classes on October 16 & 17 (registration required), a second kids&apos; pumpkin painting class (registration required) and costume contests on October 20, and of course, October 26 & 27, when you can enjoy the corn maze by moonlight. See our Calendar of Events for more details on these an other fun fall events in the area!